Custom Designed and Built Homes in Central, Michigan. 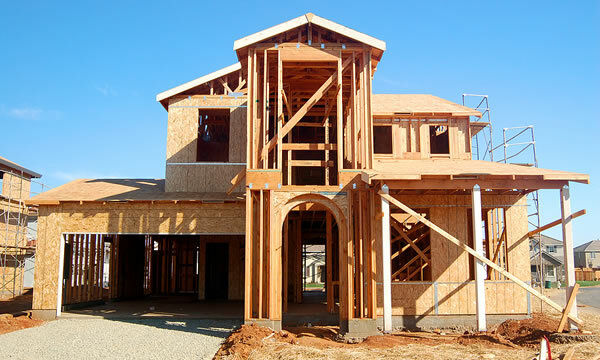 Hubble Construction and Restoration is a full service construction contractor specializing in new home construction. We can help you make building your own custom home a reality. We’ve got a following of happy homeowners who’ve trusted us with the roof over their head. We don’t take that commitment lightly! Building your own custom home in Central Michigan is the best way to get a home that will meet you and your families needs for many years to come. Designing and building a new home, your dream home is going to be an adventure and when you work with the professionals like Hubble Construction and Restoration we aim to make it a highlight of your life. We want your custom home building experience to be something you’ll always remember fondly. It’s how we’ve managed to stay in business, we build the homes that our customers want right down to the little details. There really is nothing quite as exciting as having the freedom to dream up and build your own living space! Your custom built home will likely be one of (if not THE) largest purchase investment you’ll ever make. Hubble Construction and Restoration offers you the peace of mind knowing that you’re dealing with a local business who specializes in constructing new homes for Michigan families. And we don’t just work with residents of Central Michigan but people all over the state or even country who may wish to come and settle here. We really couldn’t possibly list everything you’re going to need to know about building a custom home on our website, but if you are looking for a reliable home builder with a proven track record then we can definitely come out to your potential building site or property and have a look with you and offer up our expertise and advice. This helps you get a rough idea of the scope of your project and if we move into the proposal phase a very clear idea on time and costs. Clear communication and expectations make a world of difference in how efficiently we can manage your construction project. We take great pride in our commitment to our clients and their project and we’ll go the extra mile to make sure you’re over-the-top happy with the work we’ve done for you. It’s the only way to build a construction business!